Is this really the type of achievement we want to unlock? I have found that as I age the time and ability (maybe even the desire?) to do one thing for hours and hours has dramatically decreased. Due to this I have found that the ways that I used to look at things has dramatically shifted in the last few years. Time spent doing the same thing over and over and over in order to get better at something is no longer of interest to me. I am predominately a single-player gamer (due to time and children) and getting “better” than the “other guy” doesn’t factor into my gaming experience. Which is exactly why volunteering to make a game more challenging is no longer worthwhile. I am an avid video and table top gamer (among many other things) and have to find a balance between all the things I do. Lately one of the most straightforward ways I have found to enable me to enjoy a video game with a reasonable level of challenge but a reduced amount of time is to set the game to “easy”. 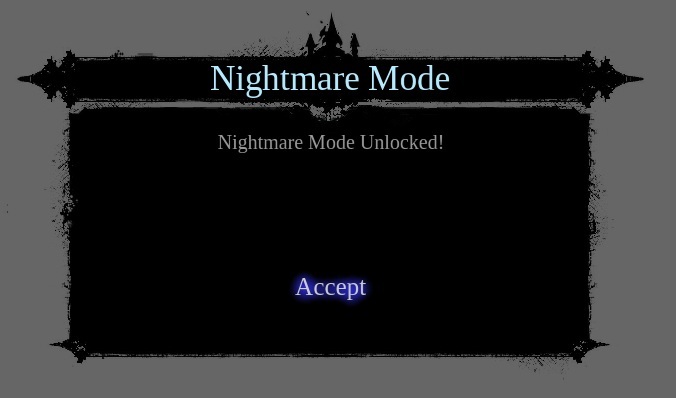 Prior to doing this I would choose hard (75% of the time) or medium (25% of the time) depending on the game – but never choose a Nightmare-type mode (I’m not that good!). I have found that a more casual challenge still enables me to enjoy the game and experience the story and characters without hitting a point where I have to spend excessive amount of time leveling up a character or dying-and-retrying a challenge over and over. In some instances the switch to “easy” has small and subtle changes that most players wouldn’t even notice, such as hit points are less for bosses, pickups more generous, or encounters are less frequent. Games that require more of an arcade-level of skill may give you more lives or more time in order to complete a challenge. Having had to replay a few games recently after my Xbox died (the 3rd RROD) and I needed to repurchase on my PC, I found myself choosing “easy” just to get myself back to the same point in the game. I found that in most instances I rarely noticed (or missed) the change in difficulty. Soon I noticed that the main thing I was missing was the increased gamer score that comes from achievements/trophies by playing on higher difficulties. 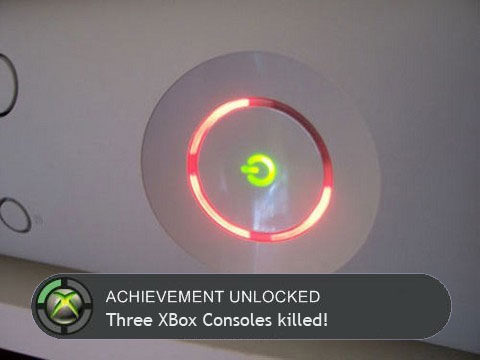 Yet once my Xbox died I found that my gamer score number was becoming less and less relevant. As a predominately solo player with only a handful of regulars on my friend lists, what real point was there in bragging about a high gamer score? Lately there have been numerous games that have come out where the game itself is more rewarding than the score achieved in the end. Games like Journey, The Walking Dead, Slither, Back to the Future, Amnesia, and Limbo have all been enjoyable without achievements or difficulty settings. Even Mass Effect 3 enabled players to choose a “Narrative Mode” which enabled them to enjoy the game with dramatically reduced combat so those interested in just the story could get through it easier. In the end – I’ve decided to take a more conscious look at why, when and where I choose to be challenged in the games I am playing. Discovering that there are games out there that can be enjoyable without any actual difficulty settings or on easy mode has me enjoying more games instead of enjoying more of the same game I am playing (although spending hours to try and beat a challenge has rarely given me the sense of victory in overcoming it that it might for others).